In this episode, PHA Canada ambassador Judith Moatti discusses the importance of early diagnosis and awareness. 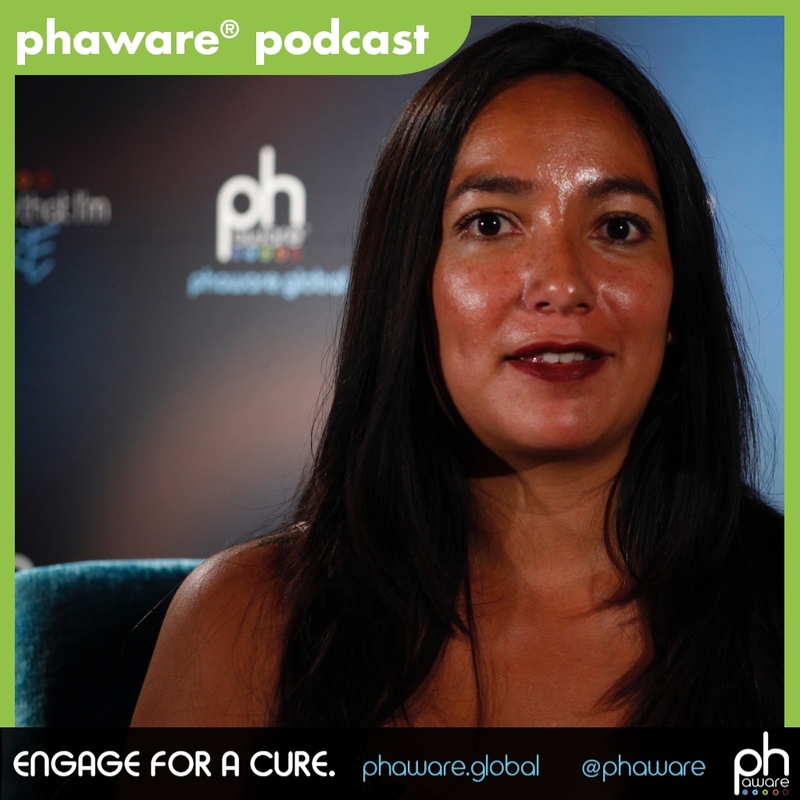 Judith was first diagnosed with Pulmonary Arterial Hypertension (PAH) in 2009, at the young age of 25. After a long road to stability and coping with her new reality, she has become a strong advocate and spokesperson for those affected by PAH. Locally, she became a patient representative for Foundation HTAPQ (a Québec-based patient support organization) in 2012. And she also works as a support group leader for patients living or affected by PH in her region. Hi, my name is Judith Moatti, and I'm a pulmonary hypertension patient. When I first got diagnosed, I got my diagnosis by fluke. My gallbladder got swelled up, and I went to [the ER], because it was hurting a lot and I could barely walk anymore. When I got to emergency, they thought I had stones, but they couldn't find anything. They wanted to remove my gallbladder. In the process, my mom refused to let them take me for surgery because she thought it wasn't reasonable to take out my gallbladder if we didn't know why it was swelled up. I had to go through a bunch of autoimmune disease tests, and [my doctor] realized that I didn't have any autoimmune disease. They were going to send me home. So, I'm waiting for the doctor with the release form. As I was waiting in her office, I saw a poster on the wall that described pulmonary hypertension and the symptoms. My friend who was with me told her to test me for that because I had been short of breath when I was walking. We started with the chest x-ray, and she said my lung arteries looked a little small, but that it might not mean anything. Then we went for a heart ultrasound. That's when my life changed for the worst in a way. I started with one technician in radiology. I ended up with 15 doctors and residents in the room because I was in heart failure. That's when they announced to me that I had pulmonary hypertension. They transferred me to the cardiologist specialist at the Montreal Jewish Hospital and as soon as I met with him, he explained to me that I was really close to death, and that I had to quit everything I was doing. I had to quit my job. I couldn't have children anymore. We started on IV therapy right away because there was nothing else that was working in bringing my pressures down. It was a difficult therapy, of course. After a while, I had to be switched therapies because the site pain never left in my case. After a few years of switching therapies and going on research protocols, I was put on all oral therapies. I tried to go back to work. My pressure was going back up, so my doctor suggested that I completely stop working. If not, I was going to die young. When he stopped me from working, I was wondering what can I do to help other people? So I started to host support groups. Then, there's also a foundation in Quebec, HTAPQ, and we help patients in our province. They asked me to be part of the board, and so I became a board member. Through all these activities, I met PHA Canada, because as soon as we are diagnosed and we become a member of the other foundation, we become a member with PHA Canada. I've always wanted to be involved with them, but I had to take it slow because I didn't know everything, and I didn't know how I was going to help people. Eventually, I started going to their conferences, which are really good conferences. I met a lot of different people. I realized I wasn't alone and that I could help others like me. Not long ago, I saw that there was a post on Facebook where there was an opening for an ambassador role, and right away I applied, went through an interview, and was chosen to actually be a part of that. I'm really glad I am because I can help more people through PHA Canada because it's on a national level. I want to be an ambassador because I want to help other people know about pulmonary hypertension. I think not a lot of people know what it is and how it affects us on a daily basis. I think it's important to help others as well. When I got my diagnosis, I felt very alone. When I started following PHA Canada, I realized that there was a lot of other people like me in Canada that were having pulmonary hypertension, that had the same issues as me. I definitely wanted to help them because I went through a hard, hard time, and I know how I got out of it. So I know how to help others and share my story with other so that they can understand that they're not alone either. We're trying to make people aware and doctors especially, like emergency doctors, general practitioners, we're trying to teach them about pulmonary hypertension because oftentimes, people go to their family doctor and they're misdiagnosed. In my case, it was the same thing. I went to my family doctor who told me it was normal that I would faint once in a while. Going through this experience, I knew that I wanted to help others not go through the same, that it's really important to get an early diagnosis because people can potentially keep working and have somewhat of a normal life even with pulmonary hypertension. So it's really important for me to try and reach those people because they need to understand that someone [who presents with] shortness of breath, it doesn't necessarily mean they have asthma or that they're not training enough. It's really important to teach them as well that there's something bigger that you might want to check out before you send someone home and tell them that they're normal and everything is fine. There's so much that changed throughout the last years. I've had my diagnosis for eight years now, and in the little bit of eight years that I've been sick, I've seen a lot of changes. There's been a lot of new therapies, a lot more support groups, a lot more people are sharing their stories now, which I find is wonderful because this is how we're going to get the word across. My name is Judith Moatti, and I'm aware that I am rare.